to discuss about your cloud requirement. 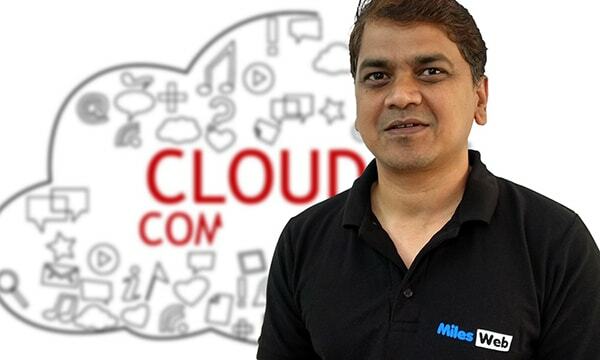 This MilesWeb Cloud Elastic Compute Service (“ECS”) Service Level Agreement (“SLA”) applies to your purchase of use of the MilesWeb Cloud Services (“Service”) under the terms and conditions of the MilesWeb Cloud Product Terms of Service (“Product Terms”) between the relevant MilesWeb Cloud entity described in the Product Terms (“MilesWeb Cloud”, “us”, or “we”) and you. 1.1 “Monthly Service Fee” means the total charges paid by you for the Services in one billing month. If you pay for the Service by upfront lump sum payment, Monthly Service Fee equals to the lump sum payment divided by the number of months of the Service covered by such payment. 1.3 “Downtime” means the total number of minutes in a calendar month when all the running instances in your ECS have no external connectivity or cannot be operated. 1.5 “Scheduled Downtime” means the periods of Downtime relating to network, hardware, or service maintenance or upgrades. We will use reasonable commercial endeavors to provide written notice to you prior to the commencement of Scheduled Downtime. 1.6 “Service Guarantee” shall have the meaning set forth in Section 2 of this SLA. 1.7 “Service Credit” means the percentage of the Monthly Service Fee for the affected Service that is credited to you for a validated claim following our service credit claim process under Section 3. We shall use commercially reasonable endeavors to provide a Monthly Uptime Percentage of no less than 99.95% each calendar month in connection with your use of the Service (the “Service Guarantee”). If we fail to meet the Service Guarantee, subject to the terms and conditions of this SLA, you shall be entitled to claim a Service Credit rebate in accordance with Section 3 herein. The Service Guarantee does not apply to the Exclusions. (d) Any other information that we reasonably ask you to provide to support your claim. 3.2 Your claim for Service Credit must be received by us within thirty (30) days after the last day of the calendar month of occurrence of the event giving rise to the claim. Your failure to submit the claim within this time will be deemed to be an irrevocable waiver of your right to claim and receive such rebate. Once we receive your claim, we will review and evaluate your claim and may require your co-operation in conducting a joint investigation to ascertain whether the Service Guarantee has been breached and if so, the cause of the failure. We will make a good faith determination if a Service Credit is to be provided to you in our sole discretion and will inform you the result as soon as reasonably practicable. We will use commercially reasonable effort to process your claim and provide the Service Credit to you as early as possible. 3.4 Subject to Clauses 3.1, 3.2, and 3.3, the Service Credit shall only apply to set-off the fees payable by you for the Service. The Service Credit shall not be used or applied to set-off the fees for the other MilesWeb Cloud services, unless otherwise stated in writing by us from time to time. 3.5 The Service Credit provided in any billing month for a particular Service or Service resource will not, under any circumstance, exceed 30% of your Monthly Service Fee for that affected Service or Service resource, as applicable, in the billing month. 3.6 The Service Credit provided must be used within one (1) year from the date the Service Credit is made available for you to use. 3.7 You agree that any decision or determination made by us relating to your claim for any Service Credit shall be final and binding on you. 4.1 In the event of any inconsistency between your and our system records relating to your claim, unless the discrepancy is caused by any material error or malfunction of our system, our system record shall at all times prevail and be the final and conclusive reference for calculating the Service Credits to be provided to you. 4.2 The Service Credits provided in this SLA are your sole and exclusive remedy for any failure in the performance of the Service and we shall not be liable to the you or any person claiming through you for any direct, indirect, consequential or incidental damages or losses or expenses whatsoever, including but not limited to, loss of profits or business and irrespective of whether the claim arises in contract, tort (including negligence), or otherwise. 4.3 Free Trial: The cloud environments created under trial account will stop after 30 days. The complete account will be automatically terminated on 33rd day. If you refill the account before termination you will be able to resume your cloud services. 4.4 Paid Users: The services of the cloud users who paid for the cloud initially but later failed to refill the account will be stopped immediately due to insufficient balance. The data of all these users will remain intact for 30 days. In case the user does not refill the account even after 30 days, the complete account will be automatically terminated and we will not be responsible for any data loss. 4.5 We reserve the right to change the terms of this SLA anytime by posting an amended and restated version of this SLA on our Website. Your continued use of the service after the publication of the amended SLA shall be deemed as your acceptance of the amended SLA. 4.6 This SLA shall constitute part of your agreement for your purchase and use of the Service. Choose India’s best cloud hosting for your business ! TRY IT FREENo credit card required.